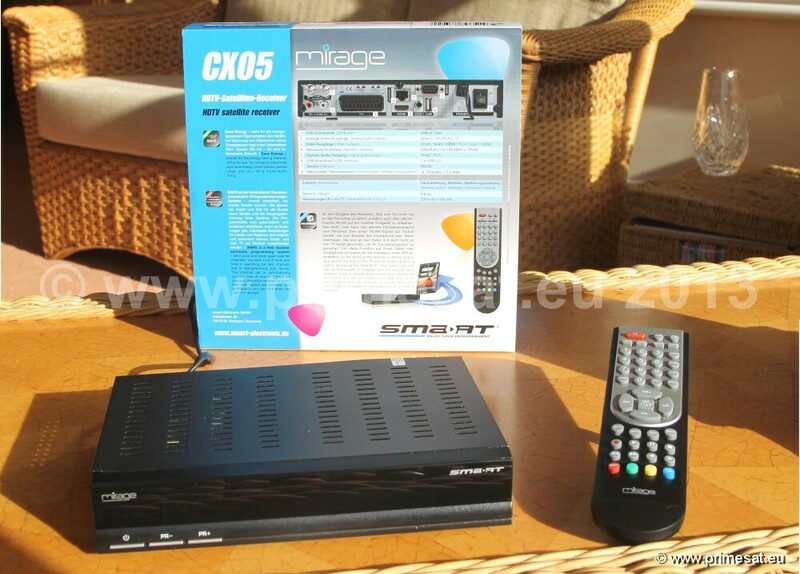 Smart Mirage CX05 HDTV satellite & IPTV receiver. This exciting new product is a satellite receiver and an IPTV receiver. It will also transmit channels via your Wi Fi to a tablet, phone or computer is an application is downloaded. With the CX05 a new age of smart receivers is dawning. Adjusted to the mobile world, this device has the clever smartSTREAM function. Simply feed the channel you receive via satellite through the receiver in your WLAN infrastructure. Then enjoy at any given location in the house or garden the current TV offering via tablet or smartphone. After the easy installation of an app on your mobile device, nothing stands in the way of experiencing smartSTREAM. But the smart CX05 can do much more: using the integrated web radio and YouTube you can access to your favorite radio stations and videos. Via the integrated media player you can enjoy holiday photos, favorite MP3 tracks and home video on your widescreen monitor. Mirage� technology, smartSTREAM� (SAT-signal distribution on Android and IOS- System), IPTV, webRADIO and YouTube, LAN port, FULL HD 1080p, smartLINK (CEC control system), Digital- and analog audio (out) SAT (IN and OUT), USB-port for external hard disk used for the Mediaplayer: play videos, pictures and music from the USB-memory, Save energy, Front display, Parental control, EPG Unicable ready, RAPS (Receiver Automatic Programming System), High gloss front, Dimensions (B x H x T): 220x 45x 140mm Accessories: remote control, batteries, instruction manual. �Accessories: remote control, batteries, instruction manual. This is more than just a satellite receiver. 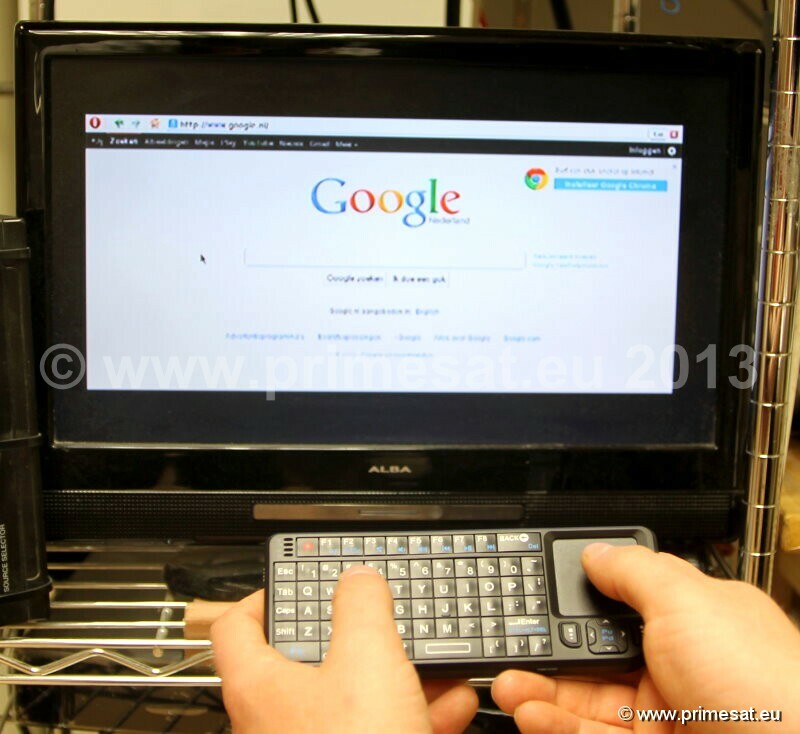 It also gives you full access to the internet including Internet browsing using a mini keypad and cursor control. The keypad even includes a laser pointer. Twin tuner. Record one channel and watch another using the optional hard drive. Easy to use menus. Also included is a USB Wi Fi adapter. The receiver can connect to your router wirelessly. The mini keypad is in addition to the standard handset and both the keypad or the handset can control the receiver. If feeding the signal to a second TV in another room, there would be a handset for both rooms. This is an ultimate flagship receiver with many great features at a price that is very affordable.